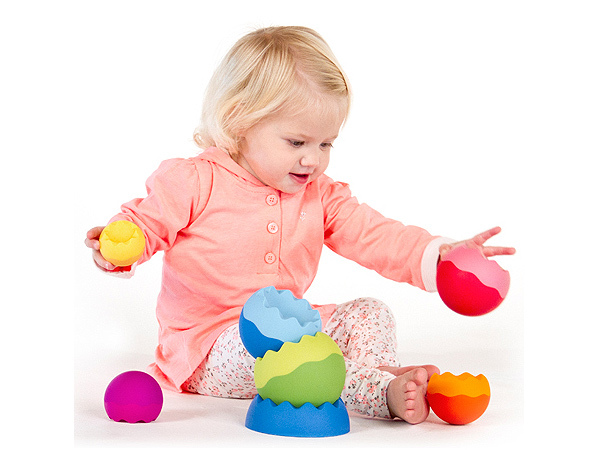 Learning to stack things is an important part in children’s development – and when it’s this fun they’ll be mastering the skill in no time!Tobbles Neo, from Fat Brain Toys, are colourful spheres designed to be stacked and used to design shapes, but they’re also so much more. 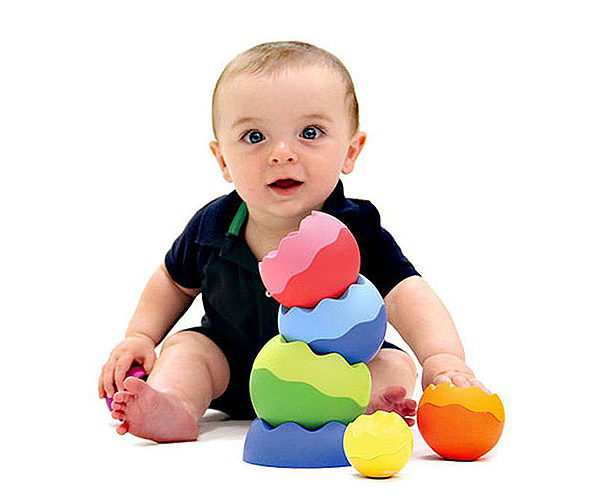 The bright colours are brilliant for engaging small children, as is the dual-texture of each sphere. The pieces are also weighted, so when they’re stacked in just the right way, there’s motion to the stack. 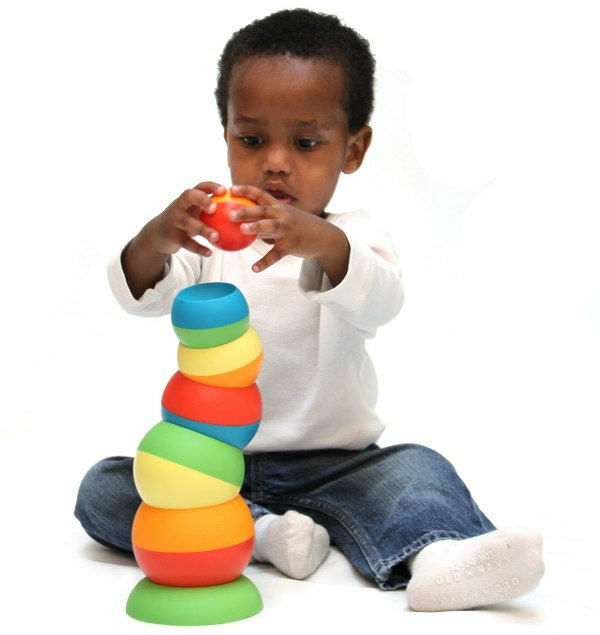 The six pieces can nest comfortably in each other, and then the tower can spin – giving a whole new element to the toy. And of course, kids love knocking things over, and the Tobble tower is just made for a good toppling. Designed for children from six months old, they’re available for order locally from Educational Experience for $33.